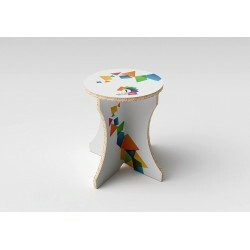 Recycled cardboard chair This recycled cardboard portable stool is ideal to create a friendly space in which to discuss with your prospects on your stand. Size: L 45 cm x H 45 cm Free delivery!Small size for an easy transport!Free printing! 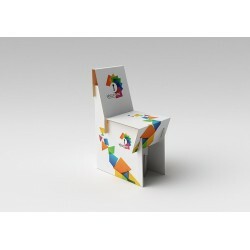 Recycled cardboard chair This recycled cardboard portable chair is ideal to create a friendly space in which to discuss with your prospects on your stand. Size: L 37.5 cms x l 48 cms x H 80 cms Free delivery!Small size for an easy transport!Free printing! 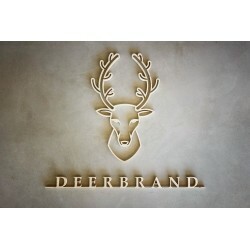 Customizable Canvas This customizable canvas is perfect for your interior decoration. Personalized printing included !Easy and fast to install ! Advertising flag Even on the sand, this flag will remain stable. Delivered in a bag for convenient transportation ! Free Printing ! 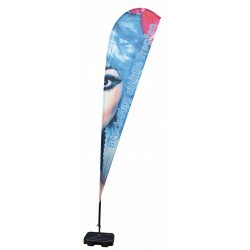 Advertising flag A strong and all terrain advertising flag, for commercials all in motion! Delivered in a bag for convenient transportation ! Free Printing ! Cardboard round table This alveolar cardboard round table is very practical to fit out a space of discussion on your stand.Easy to set up and lightweight, it is not only affordable but also ecological!Size: L 90 cms x H 75 cms Free delivery!Small size for an easy transport!Free printing! 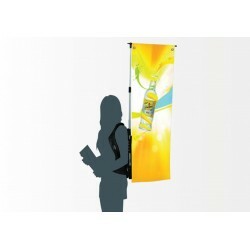 Promotionnal backpack flag: With its light structure, this backpac flag composed of polyester is designed to generate interest in your expositions. Delivered in his bag of transport !Inclusive personalized impression !Simple and fast to install ! 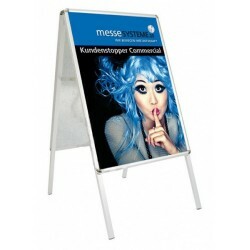 Outdoor advertising easel for shop Ideal to communicate outside, easel advertising withstand all weather conditions. Printing free! 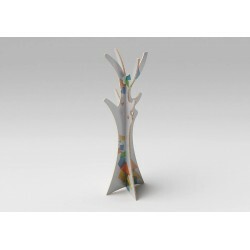 Recycled cardboard coat rack This recycled cardboard portable chair is ideal to create a friendly space in which to discuss with your prospects on your stand. Size: L 54 cm x H 169 cm Free delivery!Small size for an easy transport!Free printing! 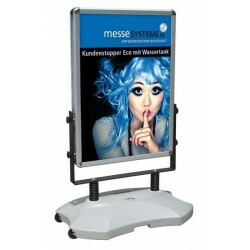 Advertising easel for exhibition stand or shop This bridge with custom design in minutes provides a strong visual impact to your stand or your sale. Ideal for entice visitors to learn more about your services or products. Printing free! 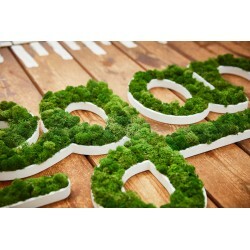 Green logo With these letters in stabilized plant, transform your living spaces by adding it a touch of greenery. 8 available colors for a maximal satisfaction. Easy and fast assembly! 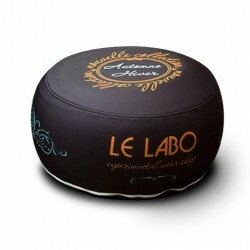 Inflatable and customizable pouf This inflatable pouf was designed to bring more cosiness during your expositions. Delivered in its bag for a practical transport! Offered printing! 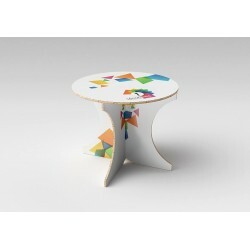 Small inflatable coffee table This small coffee table is designed for a fast and easy installation. It can be moved with facility and can be a holder for your communication. Delivered in his bag of transport!Inclusive personalized impression!Simple and fast to install! 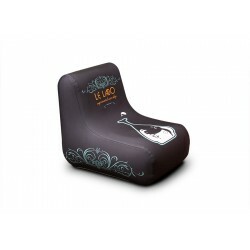 Inflatable Armchair This inflatable armchair will bring some cosiness in your stand and exhibitions. Delivered in its transport bag! Custom printing offered ! 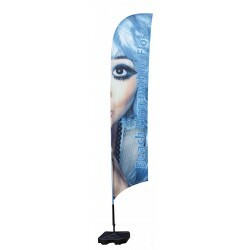 You want to effective advertising on your point of sale or at your trade shows: advertising flags and easels are perfect to attract the attention of visitors. Indoor or outdoor, Stand Expo offers fully customizable and easy to transport products.